The one thing that I won’t mind going stale in my home has to be “Bread” – gives the perfect opportunity to make this easy peasy lemon squeezy Instant Pot Bread Pudding; perfectly sweetened, custard-y, moist and you won’t believe how quickly it comes together. All thanks to the MAGIC POT!! Instant Pot Bread Pudding can be described in just one word – Comforting and Soothing. Just 3 basic steps and 9 mins of pressure cooking. Cannot believe it right!!! Before we get into the instant pot recipe for bread pudding, if you understand just a few pointers then no one can stop you from making the best ever Bread Pudding recipe. What is the secret of good bread pudding? Start with a loaf of quality bread. What is the best bread to use for bread pudding? The best bread that I would recommend would be to use Brioche because it’s buttery & toasts beautifully. It keeps its consistency even after it soaks up the liquid. Other bread like Challah, croissants & raisin bread can be used too. Does that mean you cannot use regular white or brown bread? I myself have used white bread only in today’s recipe as I did not have the other kinds at the moment and had no plans of running to the bakery to get one. Because of the fact that the best bread pudding recipe would always use a STALE BREAD. This is by far one of the best ways to use your Stale bread right.. A perfect way of using up the leftovers from Thanksgiving too. Making bread pudding at home is so nostalgic. I am sure most of you guys might have seen your Mom and Grand-Mom make, memories of that moist bread still lingering in your taste buds, the warmth of the oven keeping you cosy, the lingering smell of cinnamon keeping the house smelling fresh, the dollop of soft whipped cream or the trickling down of ice-cream on the side,, ahhhh the GOOD OLD DAYS. Honestly, I have never experienced this in my childhood days because this recipe is not very common in India. It is only after moving to New Zealand, trying out different cuisines my journey of FOOD started. Now that you have chosen the best bread for you, I would also like to talk about the other thing that makes the important part of this easy bread pudding recipe. No one would like to have a dry bread pudding right!! The custard base is really important to make your basic bread pudding stand out. Basic bread pudding ingredients call for Eggs, Milk, Sugar and flavouring agents that’s it. But to make this best Instant Pot Bread Pudding I have used the base of Tres Lesches Cake. Yes, three different types of milk and using real vanilla bean paste makes this the best ever bread pudding recipe. Other than this you can also use Creme Anglaise as the base too. Totally up to you to customise. I always use a water bath while I’m baking the bread pudding dessert and keep it covered with foil until the last 10–15 minutes of baking. This keeps the custard from curdling & drying out, and lets the top get a nice caramelization without burning. And that is where our MAGIC POT comes into play. The best part about making bread pudding in instant pot is that you need not worry about all these little things. 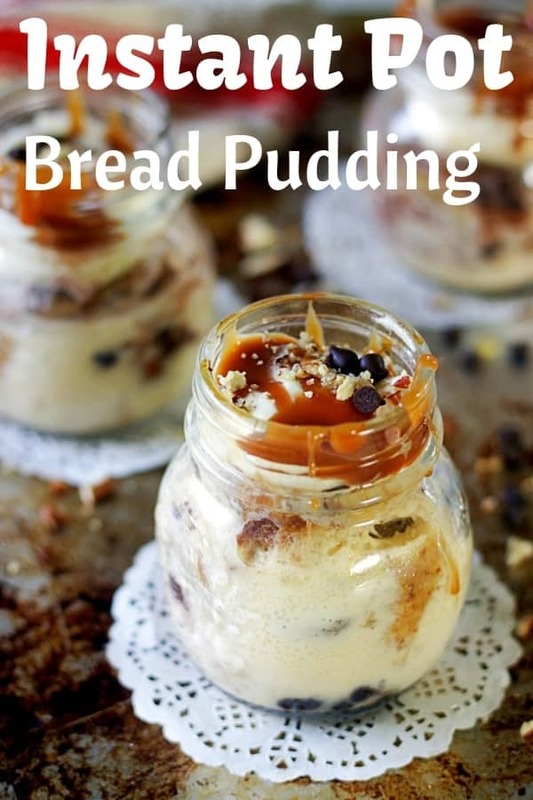 My top 5 reasons to make this simple Bread Pudding in Instant Pot and that too in Jars. 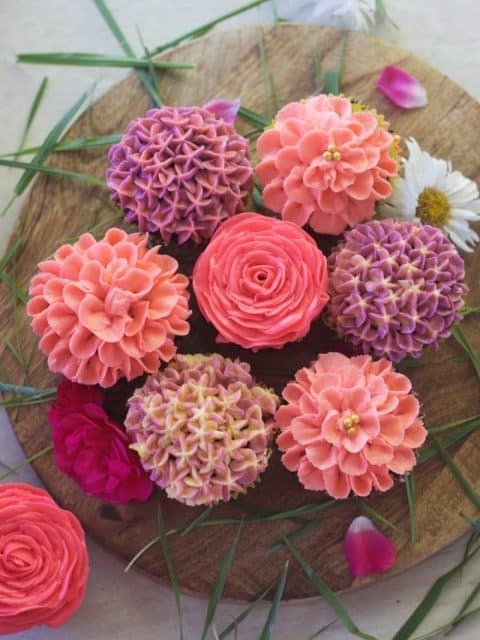 Perfect individual serving for any party or gatherings. Takes comparatively less time to cook as compared to the ones made in a 6 inch cake pan or also as compared to the oven timings. No worrying about water baths – just leave it to our Instant Pots. Moist custardy bread pudding guaranteed. 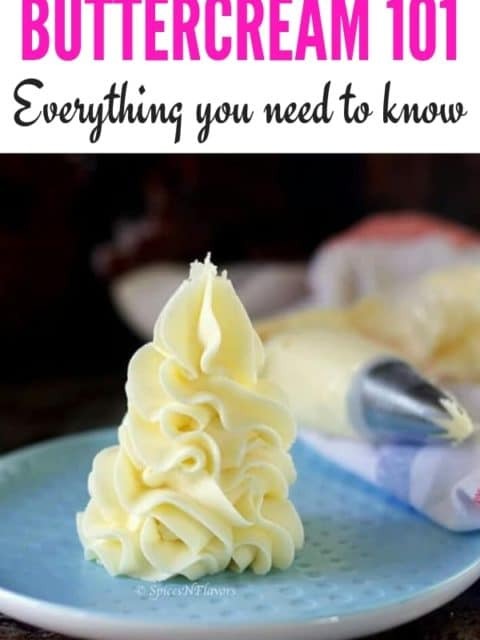 No need to worry about over-baking or curdling or drying out the custard. Why does my bread and butter pudding curdle? Yes, over-cooking or baking is the main reason for that to happen. After all, it is a Custard base dessert which means eggs are the primary ingredient. So over-cooking the eggs would eventually lead to curdling of the pudding. 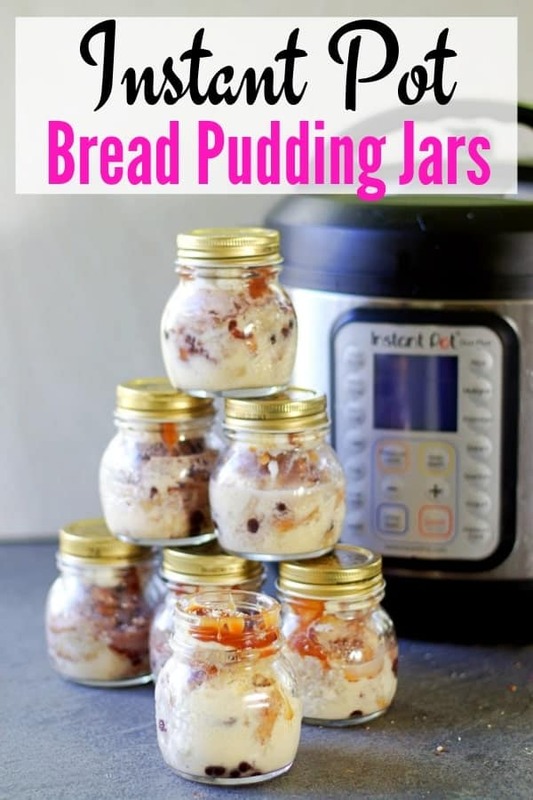 And this is exactly why I like the Instant Pot Bread Pudding as right after 9 mins of pressure cooking, do a quick release and take your jars out. You would never face the issue of curdling. However, the only disadvantage that I felt was the COLOUR. It did not get the characteristic golden brown colour. However, I feel it also depends on the type of bread that we use. Had I used brioche or croissants I guess the jars would have been a shade darker. What do you think? Always soak the bread in the custard base for a minimum of 20- 30 mins for the bread to soak up the custard without having any dry bits. Do an extra step of toasting the nuts if you are using. Toating the nuts releases its oil adding an amazing flavour and crunchy bite to the pudding. And with that tips and techniques, I am sure you know how to tweak your bread pudding recipe to make it a moist bread pudding recipe. Instant Pot Mint Chocolate Cheesecake in a Jar. 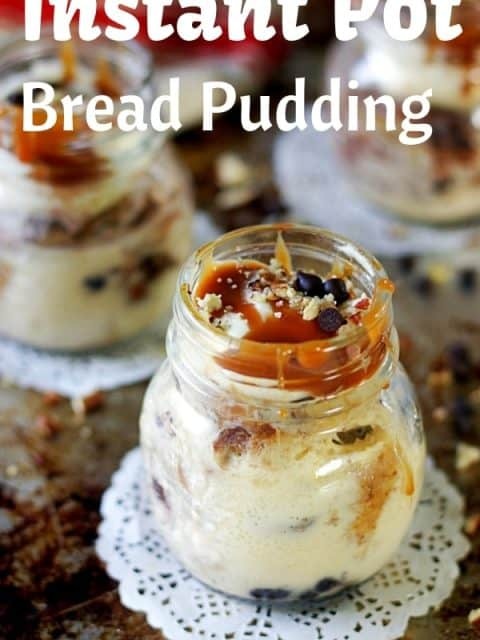 This INSTANT POT BREAD PUDDING in a jar recipe inspired by tres leches cake is a best individual serving instant pot dessert that is unbelievably simple and easy to make. 4 slices of white sandwich bread cut into 1 inch pieces. Start by cracking 2 eggs into a wide bowl. Add in three types of milk and vanilla bean paste. Whisk to combine well. Add the bread pieces into the custard base. Mix with a spatula so that all the pieces are immersed into the custard base. Top with toasted pecans (reserving some for garnishing) and 1/4 cup chocolate chips and mix that too. Leave it on your counter top for 15-20 mins so that the bread gets enough time to soak up the custard. After 20 mins, transfer the bread pieces evenly between 5 mason jars. Add few piece of chocolate and toasted pecans on the top. Cover with an aluminium foil. Fill the instant pot base with 2 cups of water. Place the trivet that came along with it. Place the mason jars on top of the trivet. I could fit all the 5 jars. Close the lid and turn the knob to sealing position. Pressure Cook for 9 mins and after the cycle ends do a quick release. Take the jars out and let it cool down a bit for about 10 mins. 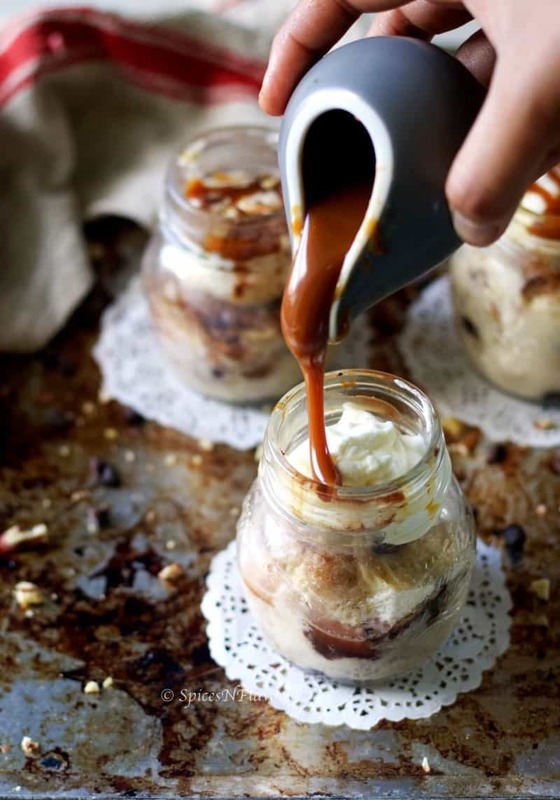 Top the jars with either ice-cream or softly whipped cream, some caramel sauce and the reserved nuts and chocolate chips. You can choose to serve the bread pudding warm or chilled. Do not forget to do a quick release once the pressure cooking cycle ends. It is important to use good quality bread and flavouring agent for optimum taste. Brioche, Challah and croissants work the best. I am not a fan of cinnamon flavour so skipped it here but feel free to add 1/2 tsp to the above recipe. Regular Milk can be used in place of Evaporated Milk. Please use toasted nuts as that adds an amazing flavour. Other add-ons such as raisins can also be used. I would highly recommend using toasted pecans in this recipe for that additional flavour punch. I have used homemade caramel sauce. You can find the recipe by clicking here. Just halved all the ingredients mentioned in the recipe. How to make Bread Pudding in Oven? Follow the recipe until step 7. 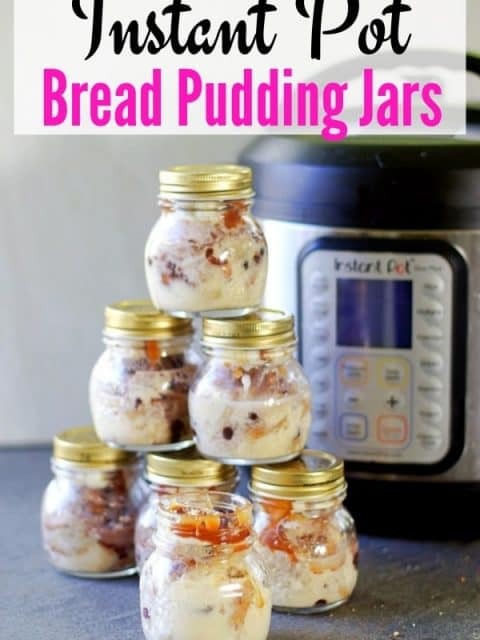 Place the jars in a baking tray. Fill the tray with hot water. And then bake them in a pre-heated oven of 190 degrees for 15-20 mins until the custard sets. 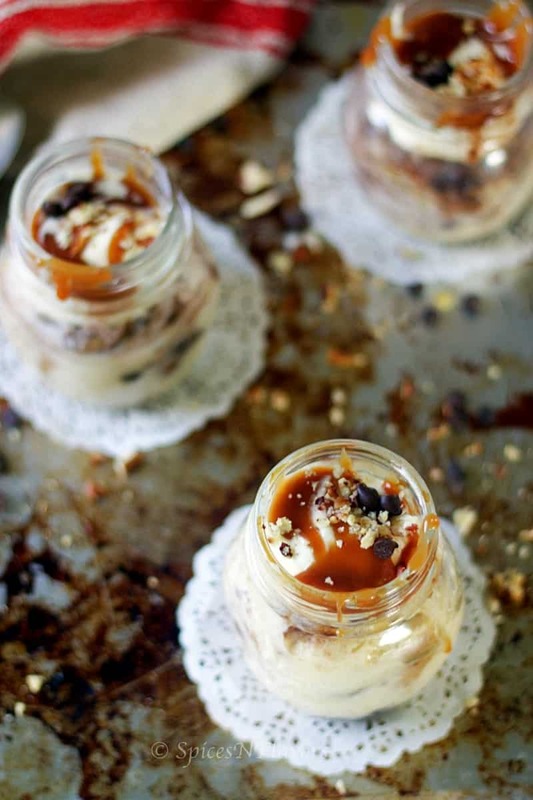 It is really a good idea to make desserts in a jar for portion control. I should thank you all who commented on my Instant Pot Mint Cheesecake in a Jar to share more jar desserts and that is why I made this recipe in the first place. 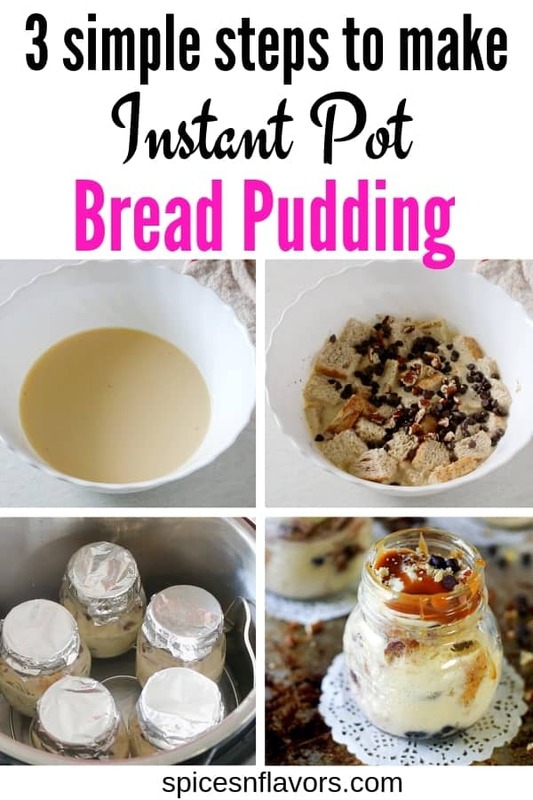 Other than that this Bread Pudding recipe made in an Instant Pot is not only quick, easy and simple to make but also turned out to be a moist, perfectly sweetened and was also set very well in the IP. The toasted pecans and chocolate chips add a perfect crunch and texture to the dessert. Combination of bread pudding with caramel sauce was also a flavour to try as the salt in the caramel sauce just uplifted the game. 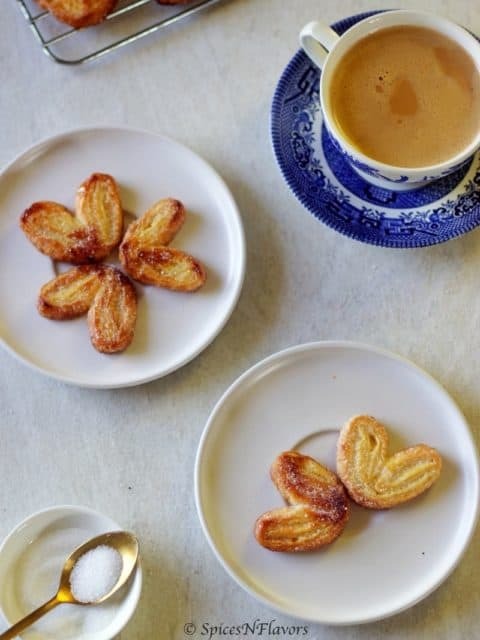 Since it is not very sweet you can also serve this for Breakfast. I totally love Desserts for Breakfast. If you too then check out this Black Forest Cake inspired smoothie.. OH my god.. its simply amazing.